​The term ‘pear-shaped’ has been used to describe the female body since the 1800s, but new research from Long Tall Sally highlights how out-dated and unrepresentative the five standard body shapes are. Long Tall Sally's research suggests that over 40.1 million women struggle to identify with any of the classic body shapes. Their in-depth analysis of body measurements from women in the UK and USA, reveals that that the reason for this is because the classic body shapes fail to account for how a woman’s height affects the shape of her body. The measurement data of 2,000 women – including their height, shoulder width, waist, hips, inside leg and torso length - was collected and analysed by a body expert to find the most common combinations of height and body part measurements. The expert team of Garment Technologists at Long Tall Sally then transformed these groupings of measurements to create a series of ten new body shapes. Together, these new body shapes champion diversity and showcase a more inclusive and representative range of contemporary women’s body heights and shapes. 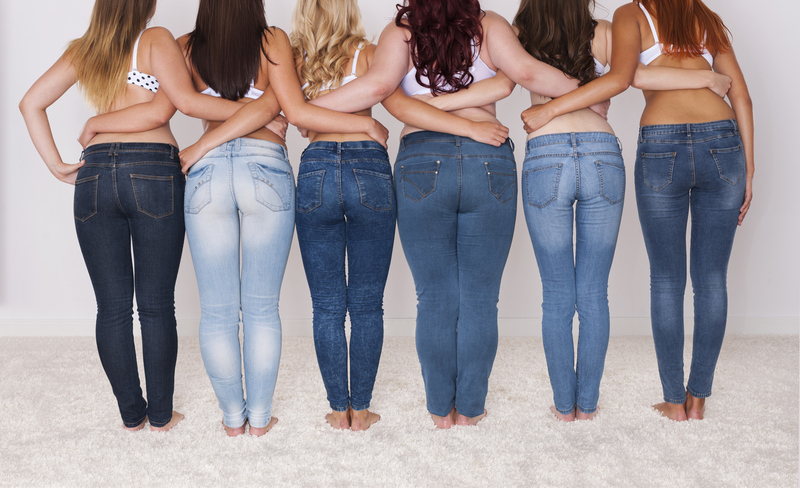 One particularly striking element of the research is the astonishingly negative words that women use to describe their body shape, with 99% of participants using shaming terms, such as ‘an ugly mess’, ‘potato’, ‘repulsive’and, the most popular adjective ‘fat’. Just 1% of women used positive descriptions such as‘beautiful’, ‘strong’ and‘perfect’. The new shapes take into account a woman’s height, as well as horizontal measurements, creating a far more accurate representation of the female body shapes. The Powerful body shapeshows an average height, with wider shoulders and longer torso, whereasExtraordinary shapes are slightly taller, with wider hips, waist and bust. Body shapes with a shorter than average height, wider shoulders and hips are acknowledged as Inspiring (all pictured).